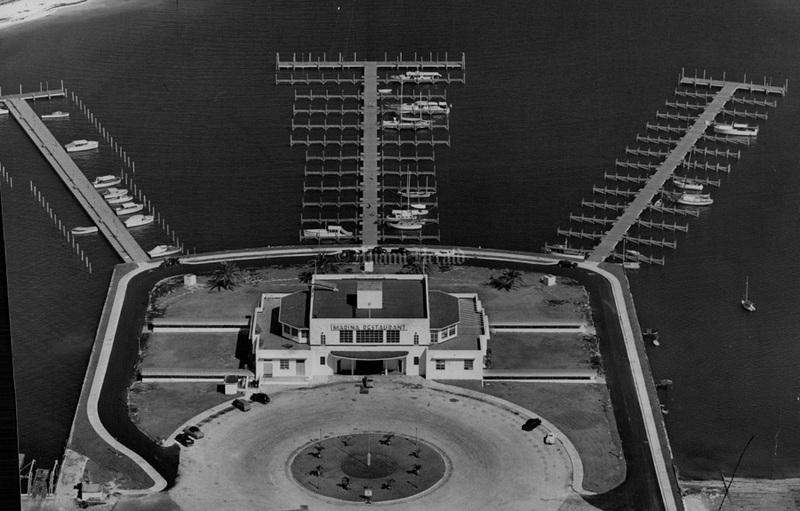 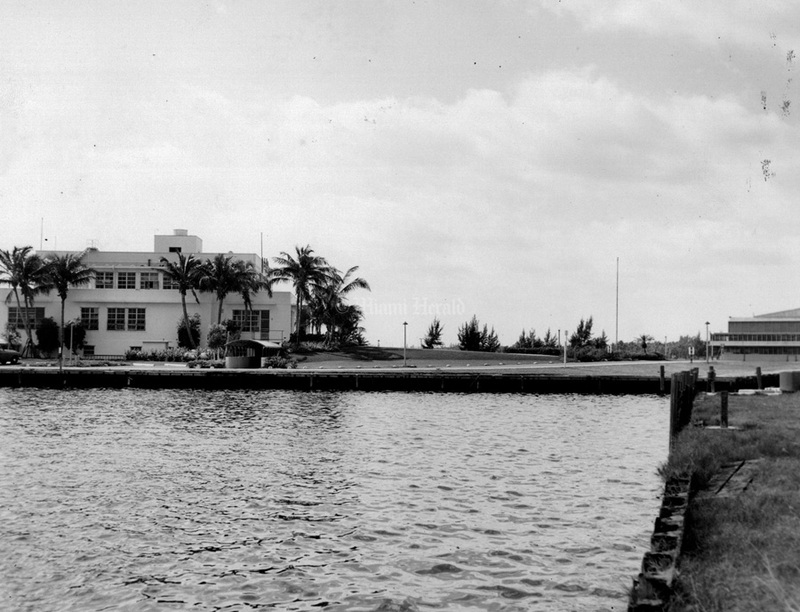 What is now Miami City Hall was built in 1934 by Pan American Airlines for its worldwide flying-boat terminal. 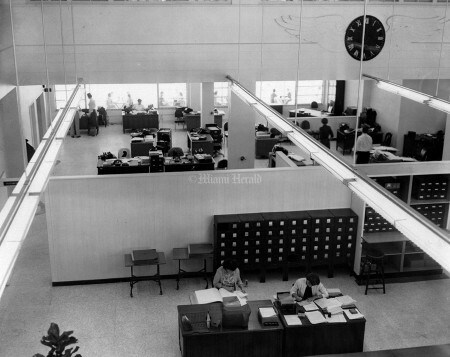 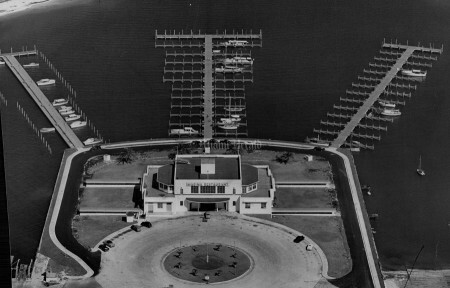 The air terminal was sold to the city of Miami in 1946 and after a brief stint as Jackie Heller’s Dinner Key Terrace restaurant, the city converted the building into its City Hall in 1954. 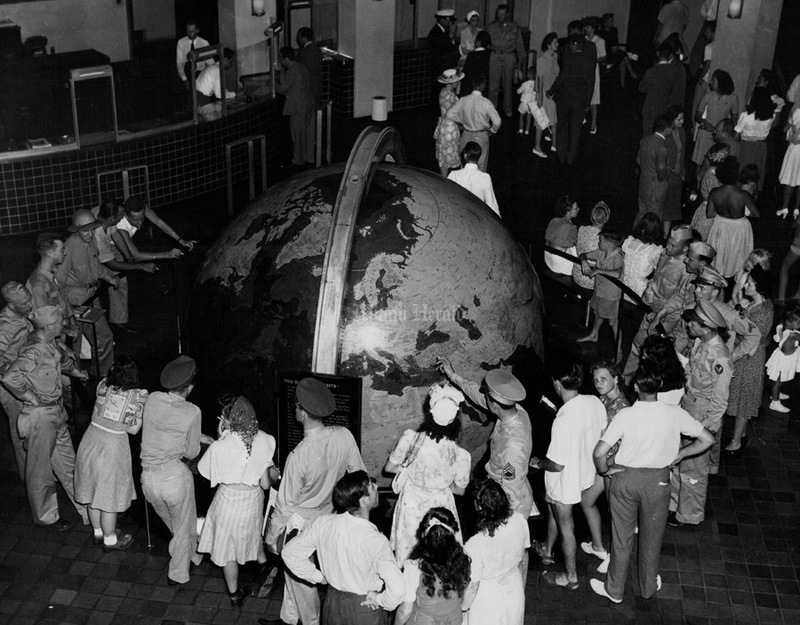 The city removed the huge globe of the world that sat in the middle of the terminal and gave it to the Museum of Science. 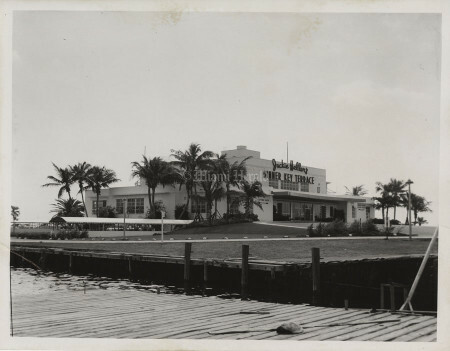 The ceiling and wall murals disappeared under glued-on acoustical tile and multiple coats of paint and elaborate Art Deco entrance doors replaced with bland modern glass doors. Substantial renovations to restore the interior of the building to its original glory took place in 2003, with architect Rich Heisenbottle. 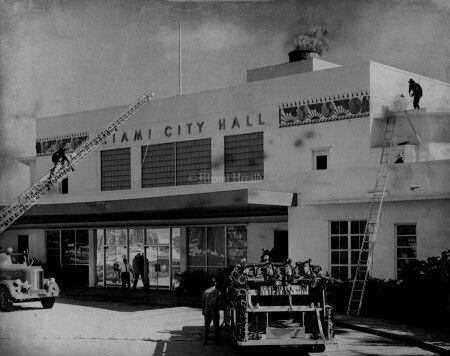 2/10/1954, Doug Kennedy/Miami Herald: City Hall at Dinner Key. 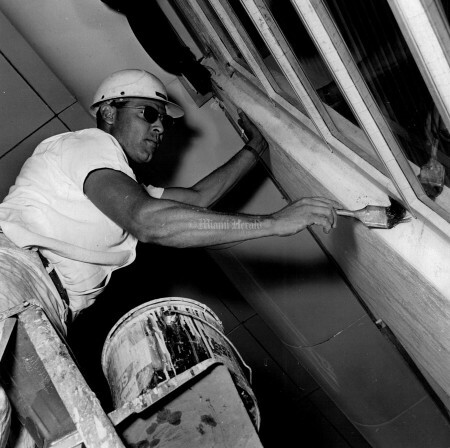 2/5/1954, Doug Kennedy/Miami Herald: Finishing touches to new City Hall. 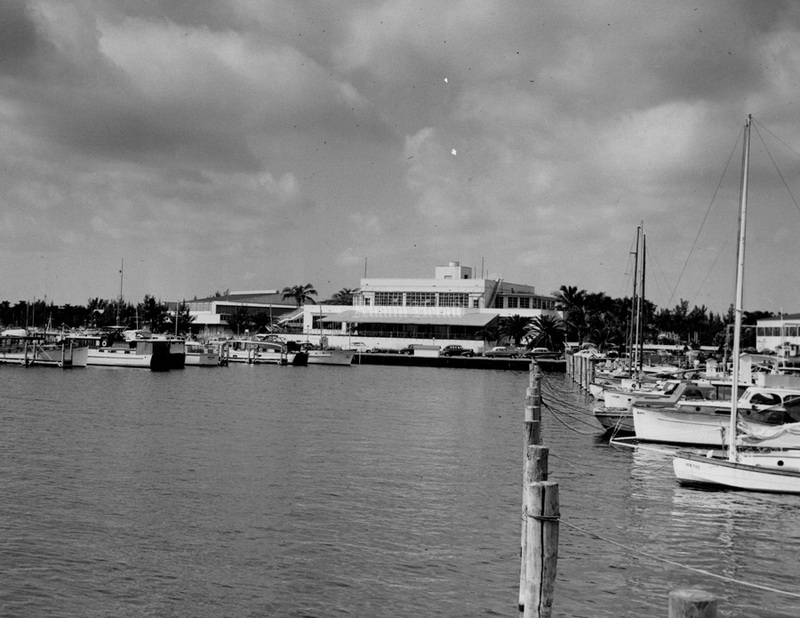 12/5/1952, Bill Kuenzel/Miami Herald: Dinner Key terrace. 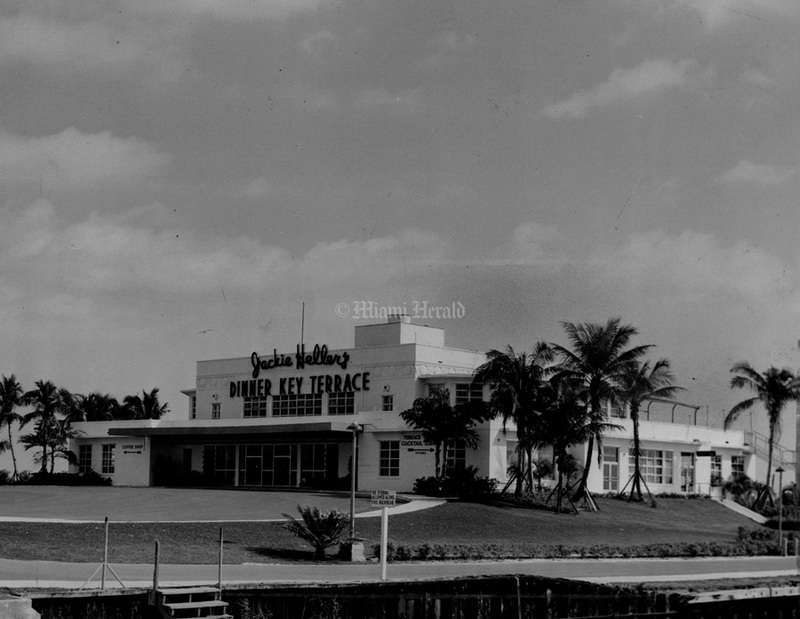 6/30/1951, Bill Kuenzel/Miami Herald: Miami City Hall. 2/5/1954, Doug Kennedy/Miami Herald: Mrs. Annette Shaughnessy and Abe S. Coldman in citizens service Bureau, first office opened today at new city hall. 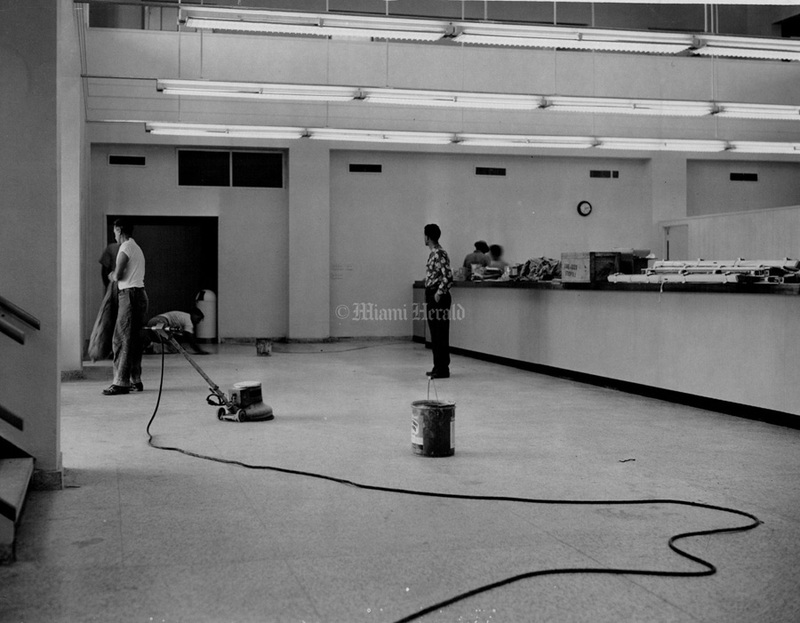 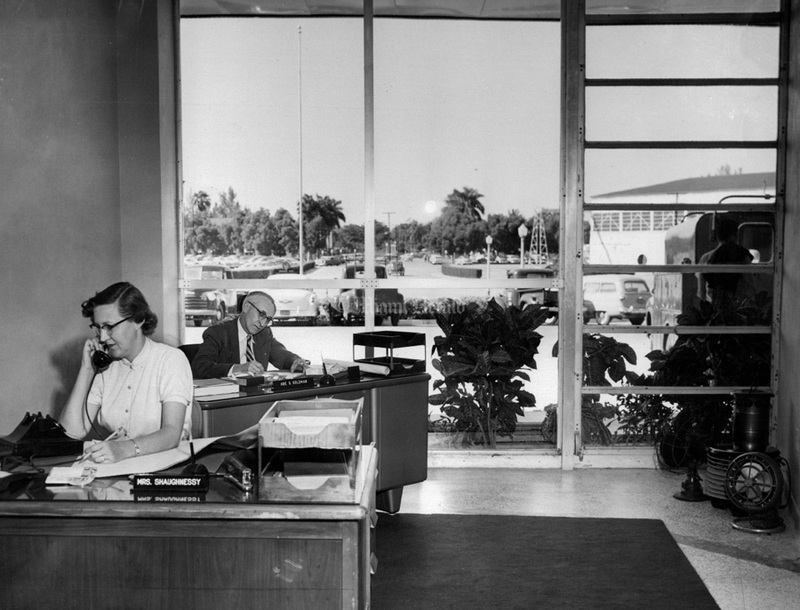 2/10/1954, Doug Kennedy/Miami Herald: New city offices at Dinner key. 11/23/1967, Albert Coya/Miami Herald: Miami City Hall. 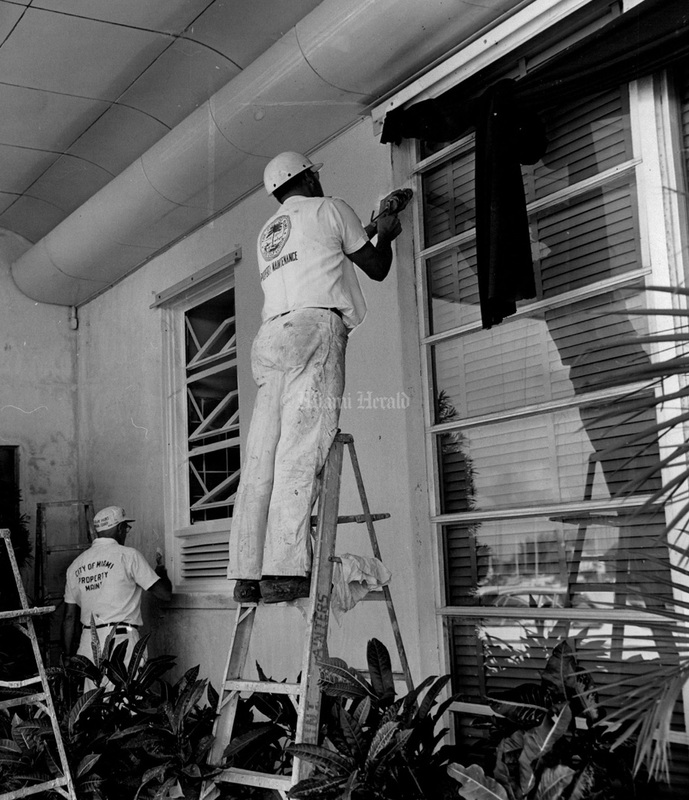 12/2/1963, Bill Sanders/Miami Herald: Preparations for Miami city hall's Paint job on front of building. 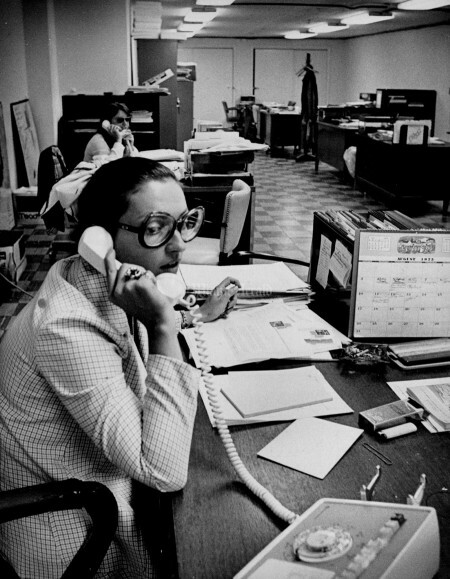 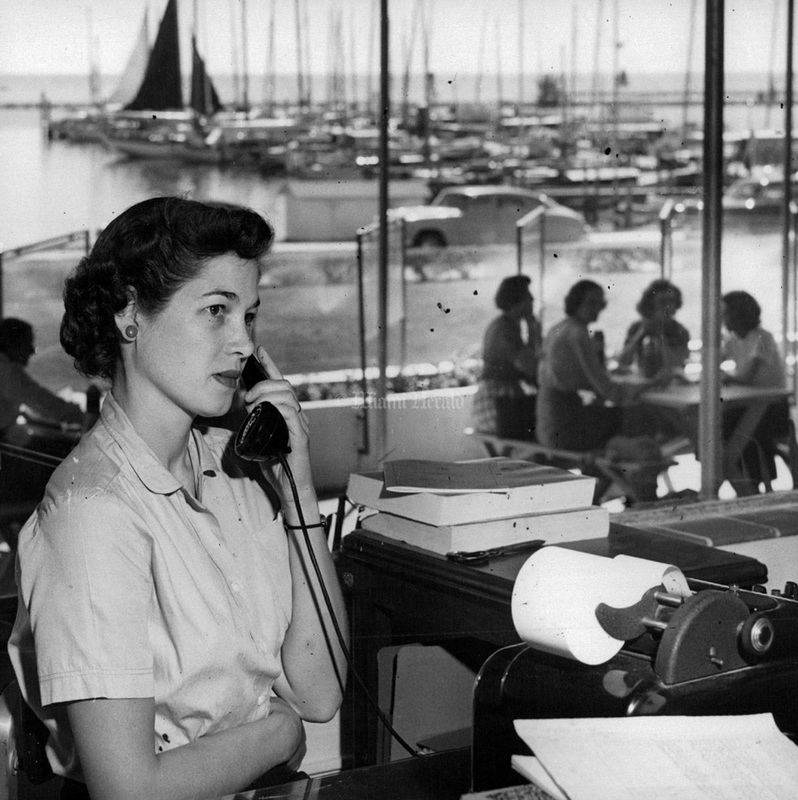 Undated, Tim Chapman/Miami Herald Staff: Anne Nichol, at, Miami City Hall. 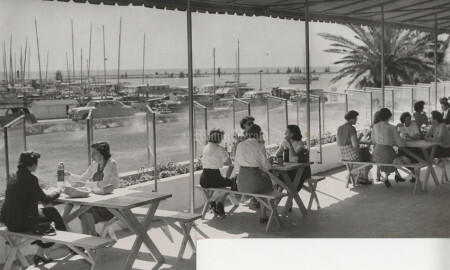 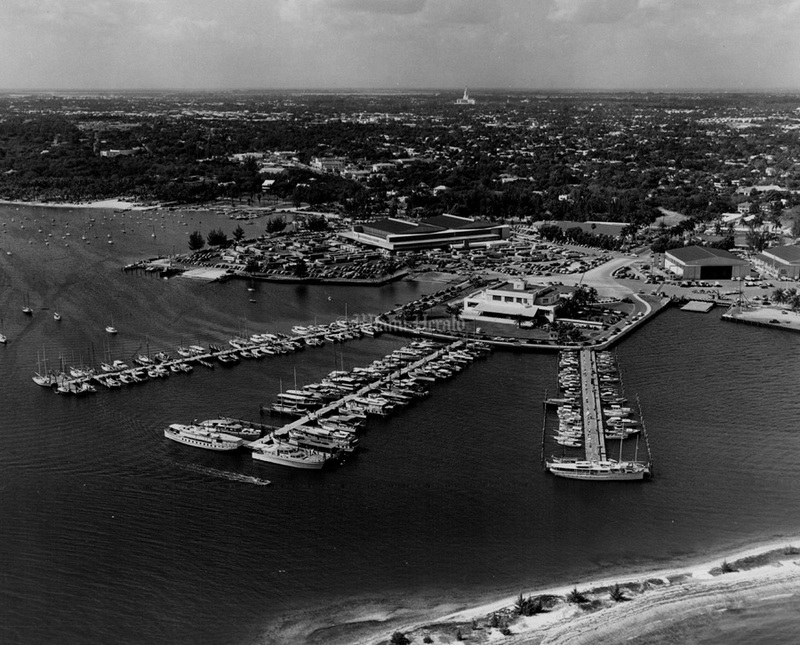 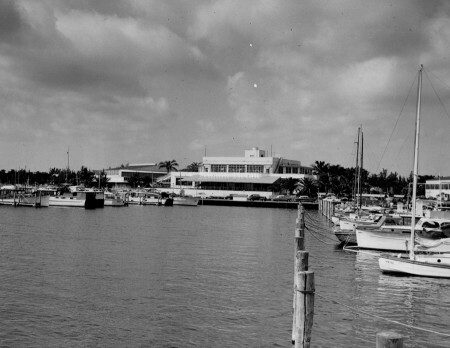 2/8/1955: Dinner Key Marina history. 12/5/1952, Bill Kuenzel/Miami Herald: Miami City Hall. 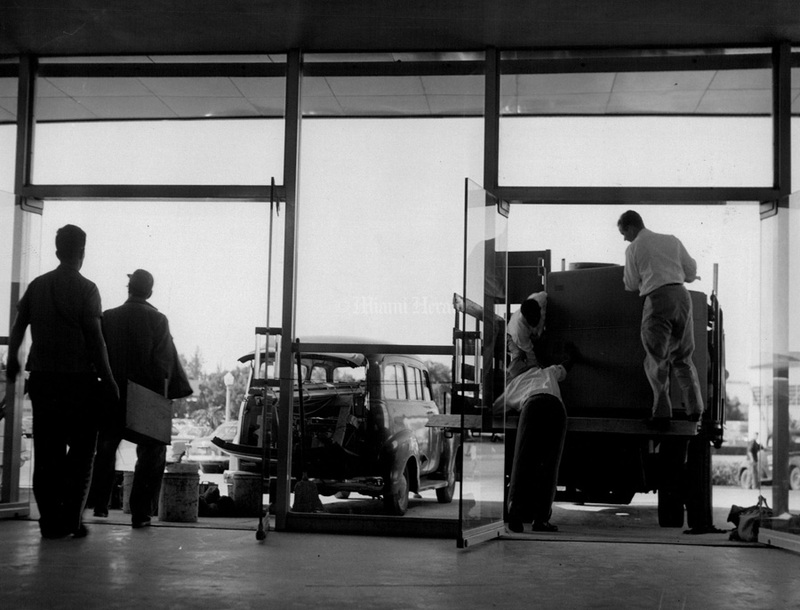 2/5/1954, Doug Kennedy/Miami Herald: Unloading at new city hall. 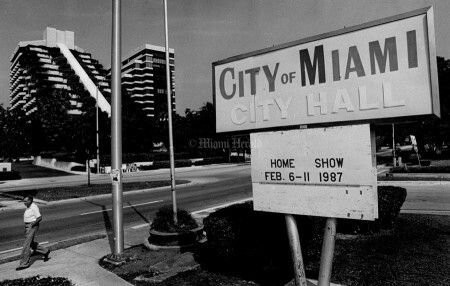 2/21/1987, Brian Smith/Miami Herald: This city of Miami City hall sign has drawn complaints from owners of the grand bay Hotel, left. 12/2/1963, Bill Sanders/Miami Herald: Man Would not give me his name city of Miami maintenance painter on the city of Miami facelifting.